2018This book is compiled from 339 cases and 680 X-ray pictures that were chosen from among some 200,000 cases over the last 30 years and roughly 2,000 X-ray pictures. Winning solid support from experts and professionals, this book is compiled from 339 cases and 680 X-ray pictures that were chosen from among some 200,000 cases over the last 30 years and roughly 2,000 X-ray pictures. The first chapter highlights the basic theory, characteristics and application of X-ray, and puts a particular focus on reading and comprehending X-ray pictures. From chapters 2 to 8, the book uses common cases to educate its readers, offering illustrations and four specifically divided sections. 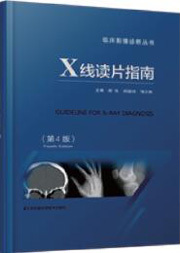 The medical history part briefs about the patient's basic clinical information; the X-ray performance part explains how a disease is commonly reflected on an X-ray picture; the X-ray diagnosis part offers initial diagnosis; and the comments part provides proofs and hints to further treatment. ·The first edition was released in 2000 and republished in 2006. A total of 100,000 copies have been sold.